"Everything went very well and we had a wonderful time! Thank you, Wendy, for making everything so easy and stress free for our trip! I always tell my friends about how great you are. We appreciate your help and the stress free process you provide." "Wendy, the trip was absolutely one to remember. I really don't have a negative thing to say! 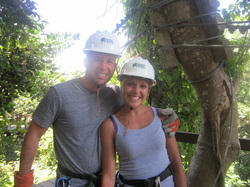 Our favorite excursion was hands down the rappelling. That is a MUST DO for people heading to that location. The Tabacon was just beautiful and apparently is the nicest resort in the area. The all inclusive was just what we needed for the second half of the trip. We certainly took advantage of it! I'd go back to any Secrets in a heartbeat. Thanks again for setting this up! We are looking forward to the next one!" 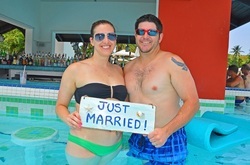 ​"Kristin, thank you so much for helping us plan our honeymoon -- it was absolutely perfect! We had the best time and it was so nice to not have to worry about any of the details while we were traveling. We had a blast in Waikiki/Honolulu. The Diamond Head hike we did was lovely! Kauai -- no words. It is honestly the most beautiful place we'd ever seen! The Blue Hawaiian helicopter tour was phenomenal -- it was a great way to see the island By the way, we LOVED the app you used for our itinerary; it was such a convenient way to keep track of all of the activities and important documents that were needed for the trip. Thanks again for everything! 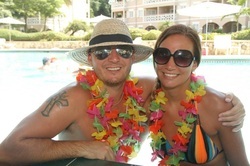 We would hands down recommend Play Your Way Travel for anyone booking their honeymoon!" "My husband and I went on a trip to Italy in September of 2016. It was a wonderful trip! We saw the ancient sites of Rome, the beautiful Amalfi Coast, the ruins of Pompeii and Herculaneum, the scenic coastline of Bari, and finally the magical city of Venice. Wendy put together this fabulous trip for us, and we couldn’t have been happier, or more impressed! She booked us at the finest hotels, arranged for transit between cities, pick-up at all the train stations, and the best part – she arranged for the most fabulous tours possible. All we had to do was ask and she delivered. We were so very happy with Wendy and her travel agency that we plan on using her services again and again. Thanks, Wendy, and Play Your Way Travel!" "All I can say is WOW and thank you everything! Went perfectly and the resort was amazing! Fantastic resort couldn't have asked for better and a huge thank-you to Wendy~you made it perfect!" 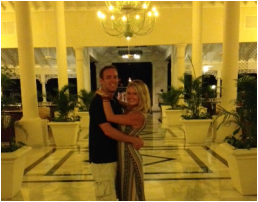 "Kristin Samuels and Play Your Way Travel did a wonderful job making sure our honeymoon was special and amazing! Not only did Kristin put in a lot of hard work and effort to plan our trip beforehand, she also did an exceptional job handling a few little issues we had while on our trip. We never had anything to worry about! 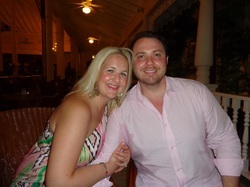 We truly enjoyed the luxury Sandals Grande Antigua had to offer and our stay was exquisite. We had a blast on the ATV and snorkel tours we went on and our candlelight dinner on the beach was intimate and romantic. The Sandals photographers captured many beautiful pictures of us on our trip and we are so grateful for the memories we made and for the fun and relaxation we experienced! Thank you Kristin and Play Your Way Travel!" "Thanks for all your help with planning our trip. We had a fabulous time! The weather was great and the resort was beautiful! Overall it was a great trip! I wish I was still there!" "I wanted to say a BIG THANK YOU to Play Your Way Travel for doing such a fantastic job planning our first trip to Disney World. It seemed so overwhelming when we started doing research. If we did not hire you to plan our trip, we would have been completely lost on what to do and where to start. You were so gracious to book our flights, reserve our hotel, recommended places to eat, what parks to visit, and even what fast passes book. You even sent us a full excel sheet on our day to day activities. We carried that with us everyday to help navigate our adventures. Each ride, restaurant,and activity you recommended were spot on! My daughter loved the Bippity Boppity Boutique, and lunch at Cinderella's Castle. My son loved the Jedi Training at Hollywood Studios. Without you telling us we needed to book those 180 days in advance, we would of surely missed some of the most memorable moments!! I will highly recommend you to anyone who is planning a Disney Trip or any other vacation. Your customer service is second to none, Wendy and Kristin are simply THE BEST in the business." 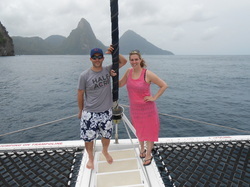 "We had an absolute fabulous time in St. Lucia. The resort was gorgeous. 8 days was the perfect amount of time to be there. We spent half the time relaxing at the pool and beach. The other half we did excursions. We did the zipling, ATV's and the JJ"s speed boat tour. So much fun. Thanks again for all of you help, Wendy. Great recommendation...so sad it's over!!!! "Hi Kristin -Thank you, thank you, and thank you!! We have been looking forward to this trip for many months and it was everything we dreamed it could be and more!! When you take 7 kids that range in age from 9 - 22, there are so many things to take into consideration...you covered them all. The resort was gorgeous!!! There were activities from morning until night for every age! And the restaurants were amazing!!! Every night we were able to dine in a fancy restaurant and enjoy a four course meal. Everyone had different favorites for the trip...for Zach(11) it was the swim up bars and unlimited Shirley Temples, for Kevin(47) it was floating in the ocean right off the dock and relaxing while watching the fish swim all around, for Ali(17) and Catie(16) and Brian(19) it was zip lining, repelling, and cave swimming, for Lia(9) it was the gorgeous swimming pools, the older boys Eric(22) and Sean(22) loved sampling exotic food at the different restaurants, I just loved relaxing and taking in the gorgeous scenery!!!" 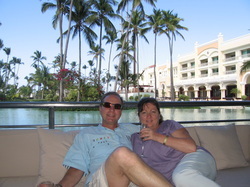 "Hi Wendy ~ Our trip to Bucuti & Tara, Aruba was the best vacation we've ever had. Aruba is beautiful, the Bucuti is incredibly outstanding, staff and locals were friendly and we can not say enough about the food! 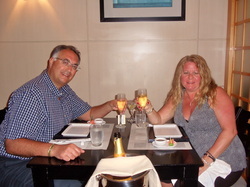 Some of the best meals we've ever had were in Aruba! We will return to Bucuti...until next time!" "I can’t thank you enough for all you did, Wendy. 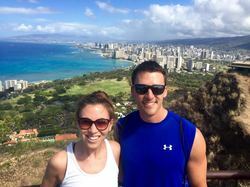 Our trip to Hawaii exceeded all of our expectations! You put together a vacation that had adventure, culture, history and relaxation all in one package. It was perfect! Your recommendations on accommodations, tours, beaches, etc. were spot on! We have been trying to figure out what was our favorite thing and we just can’t do it! When we arrived at the Sheraton at Waikiki we were blown away by the resort, then we were upgraded to a rock star suite with the most amazing view of black rock. We weren’t sure we wanted to leave and go to Maui! Once in Maui the excursions you set up for us were fantastic. The Road to Hana was a highlight. We had a great tour guide and he was so nice to the kids!! The helicopter ride back was great and our pilot treated our boys like kings! I could go on and on. But the bottom line is that you helped us have a much needed family vacation (our first) that will stay with us forever! I am so grateful for all of your expertise! We will be calling when it is time to book the next vacation." "We had an absolutely wonderful time, Wendy! The resort was perfect, not to big not too small. The food was excellent and the service was exceptional. We can't wait to go on another tropical vacation and when we are ready, you'll be the first to know." 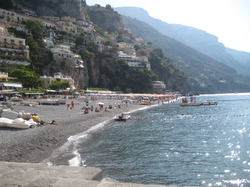 "Kristin, I am excited to email you and tell you what a wonderful, perfect trip we had. Our son was in tears at the Character Farewell party when he realized it was our last night and he was still in tears when we got home last night. Speaking of the Farewell party - I am SO glad we went to the early one. It wasn't crowded and my son was able to take a picture with every character. Thank you for everything you did!" "Wendy did fantastic job setting up this vacation to Secrets the Vine. I let her know we were looking for something for January and she sent me a few different options reasonably priced. Our trip was fantastic and we have Wendy to thank! Play Your Way Travel all the way!" "Wendy ~ Thank you so much for everything! We had basically the perfect trip all around- no complaints here! I think we both found the itinerary very useful as I carried it around with us the whole time and referenced it daily. All the activities were a lot of fun and the staff involved at each place were very nice and helpful. The Luau was great and the food was incredible! We loved the kayak trip on our last day too! I am glad that we decided last minute to rent a car on Maui as we drove around a lot on the island. Thanks again for putting everything together for us. It really was the trip of a lifetime and I think we are both sad that it’s over!" "Hyatt Zilara was amazing! Great food! Great Service and great weather. Around the pool and on the beach we had no difficulty finding an open cabana. The hotel room was really nice, the bed was amazing - slept through the night the first 3 nights which is not common. The food was by far the best food I have had at any resort in Mexico. The staff was on it at all times! Because there are so many resorts to choose from in MX I usually say I would not go back to the same one, however, this one we might! Thanks Wendy!" "Thank you so much, Wendy, for making our second trip booked with Play Your Way Travel another great success! We loved the Gran Bahia Principe Ambar and already decided if we ever go to Punta Cana again, we would definitely stay there! The hotel was beautiful, not too big and very clean. Loved the pool with a great swim up bar! Adults Only is the way to go! Thank you again for everything you did to make our New Year's Eve vacation celebration, perfect!" "We can not even begin to tell you what an AMAZING time we had!! Thank you, thank you, thank you!!! The resort and staff were perfection and the entire trip was everything we wanted it to be and more! We did not want to leave!! We can't not wait to go back, we loved it. You are absolutely amazing and have already been recommending you to everyone! Thank you again, we'll definitely always be contacting you for all of our travels!" 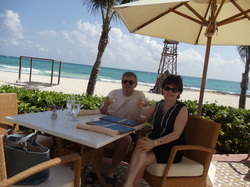 "Dave and I had a wonderful time in Mexico for our 25th wedding anniversary and really loved the resort. You did a great job planning everything. Going to the Rio Secreto was the best part of our trip we loved it. We have a CD of all the pictures it was truly amazing!!! You did an amazing job planning our trip. Thank you also for the card and wine that was extremely thoughtful!!" "Hi Wendy, thank you so much for planning our trip, everything went really smooth. We had a great time, good food, very good service, everyone was so polite and wanted to make sure everyone was having a good time. Everything was great, thank you so much for setting it all up, especially the VIP service that helped us out a lot at the airport. We really appreciate it!" 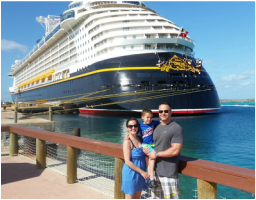 "We want to thank you so much for planing our Disney World Anniversary trip! 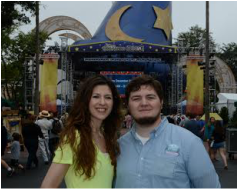 The fastpass times and dinning reservations were perfect! All of the fastpass times were for rides that had over an hour or 2 waits at the rides! Also all of the dinning reservations you set up were perfect and we are so thankful that you suggested the disney dining plan. I felt it was well worth the money for all of the character meals alone! We also never felt so special in our lives with all of the “congratulations” we got for our anniversary, and the hotel even left a surprise letter from Mickey and Minnie mouse on our actual anniversary! Thank you so much! I would recommend anyone traveling to Disney to have you plan their trip!" "We had such a wonderful vacation. Everything went very smoothly with regards to the transportation and checking in. The resort was very accommodating to Jaxon's allergies and had a laminated card with all his allergies listed in both English and Spanish. Thank you for helping us snag a prime location. We were right off from the main pool, so just a quick swim to the swim-up bar:). That was so great! Thanks again for all of your work planning this vacation for us. 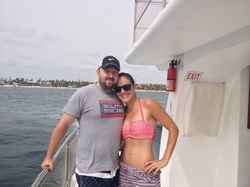 We were able to relax and enjoy our trip without any worries!" "We had an awesome time & the staff was fantastic. For the price and length of stay for our vacation, it was amazing!! Thank you for everything! We will be using you for further vacations!!" "Thank you so much for all of your help in planning this vacation! I appreciate how flexible you were throughout the whole process! I can't praise you enough Kristin! You are a wonderful travel agent!!" 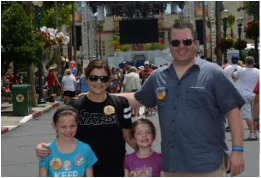 "Kristin at Play Your Way Travel booked our vacation to Universal Studios in Orlando, FL and I encourage anyone planning to make a Disney or Universal trip to contact her. She booked us right on the Universal property so everything we needed was in walking distance. All the Universal parks and City Walk were only a few minutes on foot. It really felt like a get-a-way never having to navigate bus schedules or drive anywhere. Kristin helped us by sharing valuable information about the parks, dining and express passes, not to mention transportation to and from the airport. Kristin made planning this trip much more enjoyable! The vacation itself was fantastic and I’d recommend it for a memorable family vacation. I would also highly recommend Play Your Way Travel for booking it!" "Wendy, the trip was wonderful! Moon Palace was the perfect place for our family trip. Every employee was so kind and accommodating. The restaurants were great. We made it to most of them over the course of the trip. Your recommendation to stay at Sunrise was a great one. The pools and activities there were perfect for us. We visited the spa as well. That was wonderful! Thanks for everything. I know this wasn't the easiest trip to manage and we appreciate all you did for us to help the planning and stay go smoothly." "The Barcelo was SPECTACULAR!! We thoroughly enjoyed the property and all of the excursions!!!! The pools were stunning, the staff was great, the Kids pools were incredible! 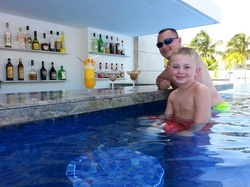 Thank you for finding this resort for us – we created lifelong memories for our little ones!" 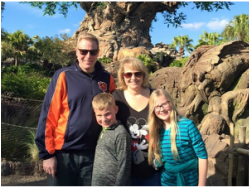 "In January, my family and I went to Walt Disney World for a vacation planned by Kristin Samuels with Play Your Way Travel. We had an outstanding experience. 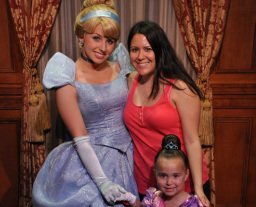 I was hesitant to do Disney with my family as my daughter and I hate crowds. Kristin assured us that going at the right time of year combined with good Fast Pass planning was key to maximizing our comfort and fun. She was absolutely right, and we were beyond pleased! Kristin booked us at Port Orleans Riverside Resort and encouraged us to purchase the meal plan. Both were terrific! Our hotel was as nice as any high end resort I've stayed, and my family (all big eaters) could not possibly consume the enormous amount of food provided with the meal plan. My husband and I had both been to Disney a number of times when we were young adults and knew that its hard not to have a decent experience, but the expertise and exceptional planning provided by Play Your Way Travel made our trip effortless and more affordable than if we had planned it ourselves. We will be using Kristin again for future vacations!" "Kristin, Thank you so much for all of your help. We really did have a great time in Playa del Carmen. Probably the best vacation I have ever been on. The resort was immaculate and the service there was second to none. We are looking forward to planning our vacation with you again next year!" 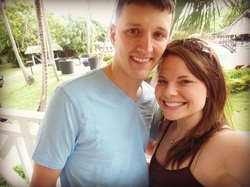 "We loved Sandals Grande St. Lucian! There was a pretty cool excursion since you booked us in the Club Level, which was a tour of Pigeon Island, then a 2 hour sunset cruise...really nice! The helicopter transfer was definitely the way to go to/from the airport! Loved several of the tours that you recommended, especially the Soufriere Experience and Zipling! Thank you so much for all of your help, Wendy...we had such an AMAZING honeymoon!" Thank you so much Kristin Samuels of Play Your Way Travel for planning our magical vacation. We had such an amazing time. So happy and impressed by your great planning. Every FastPass and restaurant selection you made was just perfect for us and we loved it. Even my 12 year old said "your travel lady is amazing Mom", because every time he mentioned something we just HAD to do I was able to say "Yes, we have a FastPass for that". All the tips on what to see and when made the experience less stressful for me. My 4 year old loved all the character meals you planned! I never would have been able to figure all that out on my own. Also, thank you for putting up with me and my crazy questions. We are so happy with everything you planned, I will for sure call you to help us with our next vacation. Thank you! "Thank you, Wendy for setting this vacation up it turned out perfectly the Royalton is an incredible hotel! "Kristin, I literally am crying tears of joy writing this! My family and I had the BEST vacation EVER at Disney!! And we LITERALLY would have been lost without you!!! You planned everything perfectly, and I mean PERFECTLY! I printed off your suggested itinerary and carried each day with me in my pocket as my life line. I never ever would have been able to plan such an amazing vacation on my own.Thank you from the bottom of our mouse shaped hearts!" 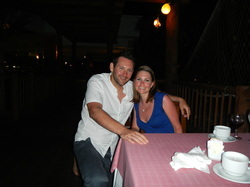 Thank you soooo much for creating this amazing honeymoon package for us." "We had a great time! The kids really enjoyed the cruise and I'm so glad everything was taken care of before we went. The first seating for dinner was perfect, as was the room change you arranged for us! Thanks for all your help and can't wait to plan our next Disney trip!" "We can't thank you enough for everything you did in helping us plan our honeymoon. We had a really great time while we were there. 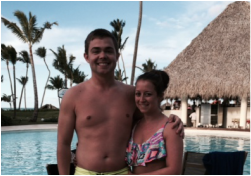 The Halcyon was a great choice for us because it was such a relaxing resort." 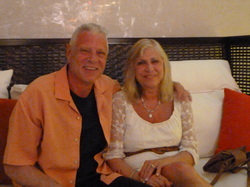 "Our vacation was absolutely amazing, Mark and I had a wonderful time, we are missing it very much already. Thank you for everything and for making our vacation become a beautiful reality!" 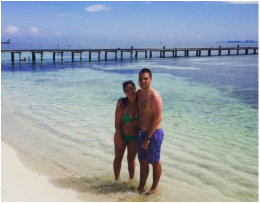 "We got back from our trip to Paradise and I cannot say enough good things about the whole experience! The flight down and going through customs was just as you said it would be, it really was not bad at all! The hotel was phenomenal! The food was incredible - our favorite was the World Cafe where for breakfast and lunch we had buffet style - any kind of food you could possibly want. The pool/beach was great. The service was outstanding. I can’t believe I waited so long to take a trip like this! We will be doing this again next year. Excellent choice on this resort - the people we road the shuttle from the airport with to our hotel said this is the best hotel with the best beach (just like you said!). I am going to have to get used to putting my own napkin on my nap and pulling out my own chair Reality stinks! Overall I give the whole experience 5/5 stars! Thank you for helping us plan an outstanding vacation! You are fantastic!" "Wendy, our vacation was perfect! As soon as we walked into Live Aqua, our mouths dropped, it is such an amazing resort! The people, food and place were great! Thanks for the recommendation, help and patience with our vacation planning! We will share this experience for a lifetime!" "Thank you so much, Wendy! The Royal is awesome! The staff couldn't be nicer and the room is amazing! We especially love the full bottles in the mini bar! We couldn't have had a better time!" "Overall, we are glad we split up the trip a bit. While Tulum was very relaxing and beautiful, we also had to find all of our own food and get taxis. Playa del Carmen had more going on at the resort (although we still relaxed), but food decisions were easier to come across. And the ability to walk on 5th Avenue straight from the hotel was nice. Thanks for all your work to help book our trip! We had a really great time." "Kristin, We had a blast at Disney. The memory maker was well worth the money. We had over 500 photos from our trip! The Fairy Tales with Belle, in Magic Kingdom is a must do for kids. The whole show was interactive and all the kids had a role in the play. Great for families.We found some pretty awesome snacks at Sweet Spells in Hollywood Studios. There is an awesome Mickey Mouse macaroon and a carrot cake moon pie, that can be redeemed as a snack. Also they had these huge lollipops that the kids loved (also redeemed as a snack). Overall, all of your recommendations were spot on. The itinerary allowed us to fit all the best exhibits in each park per day. Thanks again for an awesome trip. We will definitely book more trips in the future!" "Thanks so much for your hard work! Our vacation was a really wonderful getaway!!! We really appreciate all your help and planning!" "Our entire itinerary was awesome! 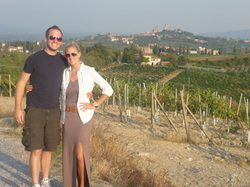 We spent a great amount of time in each place, we loved the order of travel, the train, the car, the hotels, Italy itself. We grew together and made life long lasting memories. We had romance and indulgence to no end :) Wendy, we can't thank you enough for all of your planning, for understanding our needs and wants for the trip and making our dream honeymoon come true. We love you and will be recommending you to our friends and family and will definitely use you for future trips." "Thanks, Wendy for all of your help! The Beloved was great...so relaxing and laid back! We had a fabulous time!" 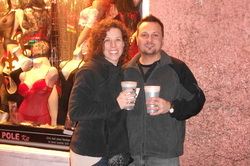 "My boyfriend and I have been with Wendy since 2011 and we have yet to plan a trip ourselves since. Wendy has amazed us with her OUTSTANDING Customer Service as well as her attention to detail. She not only gives you options, but makes sure you have everything you need to ensure you have a fabulous trip before, during and after. She is extremely knowledgeable and really puts our minds at ease. Because of all of these reasons, I have confidently referred her to everyone I know! Wendy is the BEST!" "We had a great time. I liked the casual feel of Norwegian and the flexible dining. Overall food was good but I would definitely recommend paying extra to go to their steak house Cagney's - best meal there by far! Thanks so much! "We had an awesome time! The resort was beautiful. The room was beautiful! We liked the fact that there was a quick welcome meeting the following day. He gave some useful information on what to do and what not to do. All staff were so friendly. The club side was great! We had our own pool with a swim up bar. We also had our own place where we could grab food/drink and they also had computers if you needed to access the internet. (again...you have to remember we have never been to any place like this. the little things that excite us!) Loved that the resort offered snorkeling and kayaking at no charge. We didn't snorkel but we did kayak for the first time. We also went para sailing...first for both of us as well. The beach was beautiful. We walked down the beach in both directions and seemed our beach was always most populated. Thank you for all your help! We plan on going on lots more trips and will definitely use you in the future. :) We had so much fun!" "Wendy, had an absolute blast at Breathless! The staff was extremely nice and very hard working. I was shocked at how these employees were up from dusk till dawn and all in between working and helping out the vacationers. The hibachi restaurant was by far the best food at the resort, we ate there 3 times, we loved it so much!The shows at night were fantastic, the entertainment team was extremely talented and they kept everyone more than entertained. We would definitely recommend this resort and we would love to come back in the future!We will for sure use you next time we plan a vacation. Thanks so much for all your help!" "Wendy, we had an AMAZING trip! The hotel was spectacular,we definitely want to go back! Thank you again for making this vacation so special for us. We really appreciate it!!!" "Wendy, thank you for everything! The trip was amazing! 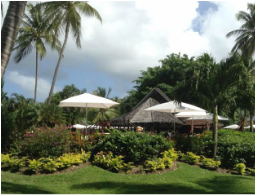 The resort could not have been more beautiful and the staff more accommodating." "We had a wonderful time on our trip! The sights were amazing! Everything was planned for us and taken care of. Hotels, meals, excursions were all great! Thank you for your help and for setting it all up!" The trip was amazing!!! Loved the resort, staff, hotel room, beach and pool areas. Very clean, friendly, well run ship. The restaurants were seriously soooo good! Again, Secrets Resorts never disappoint. All adults and preferred is the way to go! 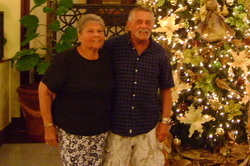 "I cannot imagine planning another vacation without working with Wendy and Play Your Way Travel. Your recommendation to take the private transfers and Funjet to the Front were great, and well worth the money. With the horrible winter weather back in Chicago, it was so great to have you monitoring our flights and guiding us through the options if our flights were delayed or canceled. 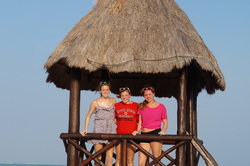 Having your support was invaluable, and allowed us to enjoy our final day in Cancun without worry. THANK YOU!" "The vacation was great! Thank you so much for your help. Everything was wonderful! 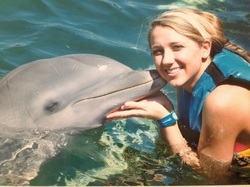 "Kristin, Our trip was awesome! We got upgraded at Coronado to a 1 bedroom suite with 2 baths, which was awesome. We really loved eating at Victoria and Albert's, it was definitely a highlight of the trip. The parks were crowded, but there was plenty of photopass photographers around, and we would often leave the park in the afternoon to nap, and come back at night. It worked for us. We loved going to the different hotels to try out their restaurants. There were plenty of gluten free options for me, it just took a little research at the beginning of each day. We really like the holiday wishes show...it poured on Christmas Eve night, but we stayed and watched the show and we weren't sorry. Eating at Cinderellas castle was a blast too...we weren't sorry we did it! With the fastpass, the lines were very manageable...we also really liked having the park hopper cause certain nights we would leave one park at close and go to another that had the extra magic hours....We really loved Universal too. If we hadn't had the all day fastpass there we would have been in big trouble as lines were just nightmarish at every ride. With it we got to ride everything. Thank you for all of your hard work in helping us plan our trip! It was a great, once in a lifetime experience and we are very thankful for your help and knowledge!" 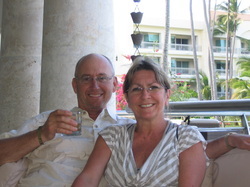 "Wendy has helped us with two trips, most recently to Sandals Halcyon Beach. The resort was awesome and the best recommendation she made was the helicopter ride to the resort! What a memory! 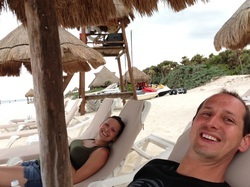 When we went to Mexico, she found us an amazing deal, even though it was a busy travel season in December. We told her what we were looking for and she narrowed it down to a few options for us to choose from, which saved us a ton of time and research. She provided personal recommendations, which helped us determine which resort and accommodations we wanted to book. We were very impressed with everything. Wendy's attention to detail and personal touch go above and beyond and we'd recommend her to any of our friends!" 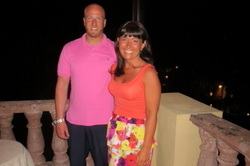 "Wendy was absolutely wonderful in planning our honeymoon! She did a great job researching hotels and flights that would fit our budget and thought of every detail. We appreciated all of the dedication and she even followed up with us after the trip to see if our needs were met. We will be using Wendy for our future vacations!" "I HIGHLY recommend Wendy to everyone looking to book a trip! A friend of mine pointed me in her direction and I couldn't be more glad! 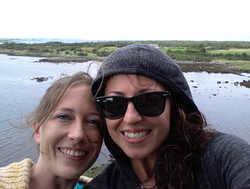 I've never traveled internationally before, and Wendy walked me through everything I needed to know about setting up my trip to Ireland! She found us great flights, and beautiful places to stay. Everything about the trip exceeded our expectations, and we've got Wendy to thank for that! She is very responsive, knowledgeable, and such a friendly woman! I couldn't have been more satisfied. Thanks, Wendy!" "We have booked two trips through Wendy, an all- inclusive resort in Mexico and a cruise to Alaska. We recommend Wendy wholeheartedly because she takes all the stress out of travel. She gives detailed directions, anticipates all our needs, and responds quickly whenever we have a question. We will continue to use Play Your Way Travel because Wendy allows us to play our way!" "Wendy is amazing! She helped my husband and I plan our honeymoon. After listening to our honeymoon needs/wants, Wendy suggested the all-inclusive Sandals Grande St. Lucia. She provided us with detailed information about the island and the resort so we could pack accordingly. My husband and I felt prepared for our trip and we were able to relax and enjoy ourselves without any surprises. I highly recommend Play Your Way Travel for any future vacations that you or your family are planning." 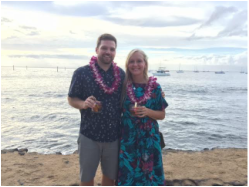 "On behalf of Nate and myself, we'd like to thank you for going above and beyond making our honeymoon in Maui so special. Maui was absolutely amazing! The weather was perfect, we were very pleased with our hotel accommodations and the 5 pools. The beach was spectacular, beautiful blue swimmable water. We are already planning another trip back in the future. Can't wait to book our next vacation!" "We had a great time. The weather couldn't have been better for us. Moon Palace is a beautiful resort with a very friendly staff. Upon check-in we were asked if this was a special occassion and we indicated it was a senior trip. They upgraded our room with no additional charge - ended up on a first floor suite with a private pool for first floor guest only. Awesome!! 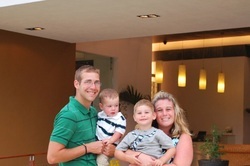 Thanks Wendy, we appreciate all that you did for our family to make this a very enjoyable trip." 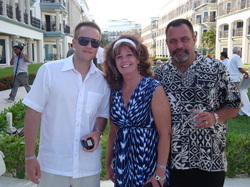 "I recently visited The Royal Playa Del Carmen for a wedding. Even before we left, I knew we were in good hands with Play Your Way Travel. Wendy and her staff were so helpful in making our travel arrangments and checking in with us prior to the trip, to make sure everything was squared away. That was just the beginning of the excellent customer service they provide. Our hotel shuttle was ready and waiting at the airport when we arrived and had us to our hotel in no time. Upon arrival at the hotel, Wendy and her husband were there to greet us and assist with the check in, including our bags, so that we could get a cocktail and to the pool right away! After an early morning and a 4 hour flight, that was just what we wanted. Throughout the trip, Wendy was consistently checking in to make sure everything about our stay was perfect. She had dinner and excursion recommendations, that we found to be just what we were all looking for. Overall, it was a trip I will never forget and a lot of that had to do with the great customer service we received from Play Your Way Travel. I know I will be using them again on my next trip. Thanks Wendy!" "Big or small, Wendy can handle it all! We contact Wendy whenever and wherever we go on vacation. Wendy handles all of the details and provides that extra level of care you won't find anywhere else, from the packing list to the follow-up on the accommodations. 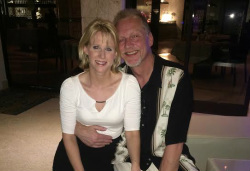 Whenever we book with Wendy we can sleep soundly at night knowing our vacation will be both memorable and enjoyable." 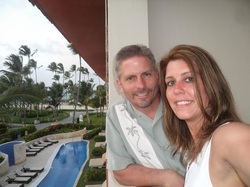 "Our trip to Punta Cana was great!!! Thanks again! The hotel was unreal and a perfect location. The fact there were three resorts and ours was the only 21+ made it even better. We could check out the other hotels if we wanted to go out, but they couldn’t bring their kids to ours! Thank you for everything!" "We had a fabulous time! Everything about Valentin was amazing; food, entertainment, pool, nightlife, staff and the beach. And our room was gorgeous, of course my favorite part was the bathroom and the balcony - where Mike PROPOSED! I said YES :) we're very excited! The staff was absolutely outstanding, very friendly and so courteous... Thank you so much for everything, we're so happy that we went through you to book the trip." "Thanks again Wendy for all that you did to make this such a exquisite time and steering us to such fabulous places. As always, you made our trip fabulous and the "tips" letter was perfect, it prepared us for what we needed to do, and not do. We look forward to having you help for our next excursion where ever it might lead us!" "Hey Wendy, the trip was a blast. We all had a very good time. It was the perfect length as we were wiped out at the end. One of the best things was the convenience. Everything was so easy. Thank you again for everything." 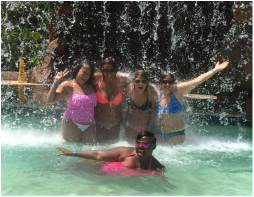 "Our trip was amazing, great hotel (we will definitely stay there again), food was amazing and our party of 6 was the best! We could not have had a better time. We are already discussing our next trip to Playa del Carmen and more specifically the Royal Hideaway, 10 days next time! Thank you for your assistance (especially with our last minute hotel change!) and we will most definitely be using your expertise again." "The service, grounds, room and food were amazing. We had our own jacuzzi that we would call our butler to have draw our bath. At the pool we would have our own bed cabana, with unlimited service. I hurt myself with the all you can eat surf and turf every day (lobster and rib-eye)! We look forward to our next vacation. Thanks again!" "The staff at the Moon Palace impressed us with their friendliness and helpfulness. Everyone always greeted us and really made our stay enjoyable. They get an A+ on service at the Moon Palace. We felt very comfortable and confident letting the kids be out and about. This makes for a very relaxing vacation for everyone. Thanks so much for all your help, we look forward to working with you again." "The rooms were fantastic, great size. The food was also very good, considering just how many options we had, and the not having to make reservations was fantastic! The personal beach cabanas were very relaxing, the beach in general was amazing. Thanks so much for all of your help planning the trip. We had a wonderful time! 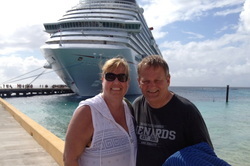 "Wendy did a great job matching up the right cruise to us. Perfect itinerary, perfect cruise ship, and the perfect price. We had a blast! Play Your Way Travel is the only way to book your travel needs." 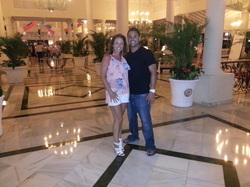 "The RIU Palace Punta Cana was a beautiful hotel! The surroundings and weather were both beautiful and fabulous. They only added to the pure relaxation of the trip. The food was delicious and the staff could not have been more courteous. Thank you so much for helping plan such a memorable trip!" "Thanks for a marvelous time. The trip was great and can’t wait to go back. This was by far the most beautiful beach we have been to in Mexico. We will defiantly recommend you to our friends and family. You’re awesome." "Thank you for all your help booking our honeymoon! The hotel was over the top! I could not have been happier with your recommendation! The resort was basically flawless! You rock, Wendy!" 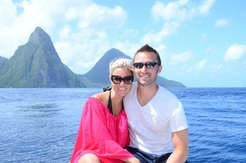 "We had such a wonderful time in St. Lucia! The resort was clean, beautiful, and luxurious! We enjoyed walking on the beach and swimming in the pools every day! The staff was kind, friendly, and focused on providing excellent service. Our room was spacious and stocked with drinks! The grounds were green, lush, and meticulously maintained. The food was delicious and we enjoyed the wide variety of restaurants at the resort! Our favorite night was New Years Eve - the resort had a fancy dinner with an around the world theme. My husband had the biggest lobster tail I've ever seen, and I had Japanese and Italian food. The decorations were beautiful and the champagne was flowing all night. There was a great band, dancers on stilts, fireworks at midnight, and a dance party with a DJ! Our whale watching your was a blast - we saw both dolphins and whales! The weather was great the whole time, and we enjoyed visiting the La Toc resort one of the days we were there. Most importantly, the trip was immensely relaxing - just what we needed! 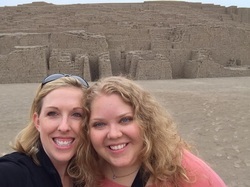 Kristin, Thanks so much for planning a great trip for us - we loved it!"